Oklahoma has produced some of the biggest names in the music industry. The Gap Band and Charlie Wilson, Garth Brooks, Carrie Underwood , Wayman Tisdale and Hanson. Oklahoma`s premier hip hop artist Robert C. Daniels II aka Dangerous Rob, known to his friends as D-Rob, has already made his mark in Japan, Germany, Australia and the UK. 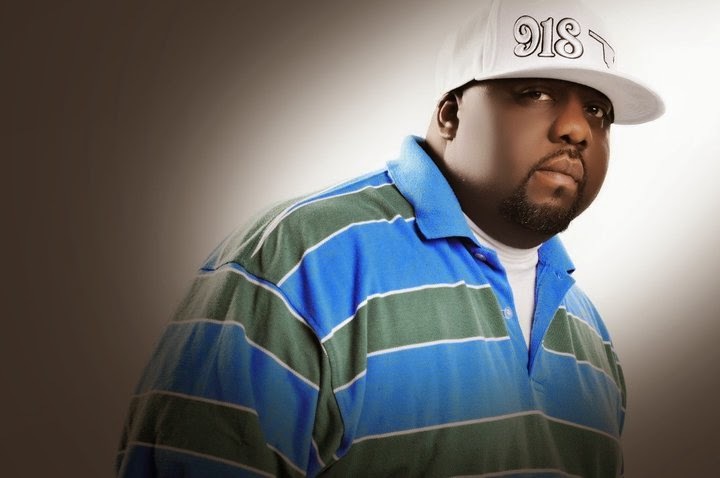 D-Rob recorded his first rap record at the age of 15 with a group named THOB-MOB, Graduated from Thomas Edison Prep School and he went on to Langston University where he majored in Broadcast/Journalism . Ultimately, he put his educational goals aside and released his second record. With the combined forces of Partners-N-Rhyme a local rap group, this record was distributed nationwide through a Independent label called ACI Records based out of Los Angeles, California. Their record independently sold more than 100,000 copies of the single "Cold Chillin in the Middle". This popularity allowed the group a feature on the Arsenio Hall Show, and National Tours across the country. After 7 albums, Dogg Pound Next Generation General, Dangerous Rob, is on the horizon of celebrating his 25th landmark year officially in the music business. Dangerous Rob is heating up the airwaves with the first single from the album Dangerous Ways. The celebratory single, 100 Stacks, is titled to be a ladies anthem which is already garnering comments on Twitter with the pre-release in markets like Dallas, Houston, Los Angeles, Chicago, New York and Oklahoma. Join this premiere hip hop artist in celebrating the official release of 100 Stacks and 25 years of success in the music industry. The song can be purchased on popular networks like iTunes, Napster, Rhapsody, Amazon and other popular music sites. 100 Stacks can be requested on popular radio stations like KVSP 103.5 FM in Oklahoma City, and K104FM in Dallas as well as many radio station across the country. Let's cut to the big question. A lot of big names have come out of Oklahoma, but none of them have been in Hip Hop. Do you plan on changing that? Dangerous Rob: Yes I am on course to change the perception of Hip hop music in Oklahoma. Over the years we have been receiving more recognition, once Dangerous Ways the new album hits the street, the world will have a different view on the state of Oklahoma and the versatility of the way our music sounds as a whole. You've put out a lot of records over the last two decades. In 2014, you have a new single out called "100 Stacks". Tell us about this new joint you're bringing to us. Dangerous Rob: I wanted the first single to be dedicated to my core female fan base, I wanted it to make sense to women, and encourage them to rise above being called a dime piece “What`s a dime piece to a 100 Stacks,” and also provide a description of how a lady should be from my point of view. You've been around the block a few times and you've seen artists come and go, you've seen record labels rise up and fall. How is it you've managed to stay in the game for so long? Dangerous Rob: Very good question, I managed to stay in the game for so long, thru the Grace of God, dedication and preservation, and remaining true to my craft and not trying to imitate and sound like anyone else, of course the deal with DPG Records and the Dogg Pound Next Generation Movement, expanded my career another 10 years. Shout to Daz Dillinger and Bigg A. chuuuuch! From your perspective, where do you see Hip Hop going and is there a real chance for someone like Dangerous Rob to break into the scene as a major conglomerate in the industry? Dangerous Rob: Hip Hop is here to stay, it`s the connection for the generation coming up, all they know is rap music, The lifestyle is mainstream and Corporations are making billions off of the culture, so it`s not going anywhere, too much money involved. I`m still pushing and my plans are to show the world what Oklahoma artist has to offer in 2015. Tell us about Dogg Pound Next Generation and Freedam Records. What role do they play with Dangerous Rob? Dangerous Rob: Dogg Pound Next Generation is a movement , Daz Dillinger and Bigg A , appointed me the The General of the movement , because of my experience and longevity, 6 different faces from 6 different places everyone is from different parts of the United States, DPG Records had a vision to put 6 fire mc`s together, and we made it a movement and we still mashin as a unit, Freedam Records is my label, and my plans are to make it an established entity like No Limit or Deathrow, but the core groups would be from Oklahoma, because we wanna put the state on, Anybody associated with Freedam, is also part of the Dogg Pound Next Generation movement as well. So, let's go back to your roots and how Dangerous Rob got started. As a child, who was that caught your attention the most that said, "I wanna be just like him"? Dangerous Rob: Rev.Run from Run-Dmc. Best hip hop artist of all time. Taking a look at music today, who do you like and who would you want to work with? Dangerous Rob: Charlie Wilson, Snoop Dogg of course, Ice Cube, Dr.Dre, TIP, Jay Z, and Nipsey Hustle. I like Kanye West too, it`s a lot of talented guys out right now. Those are the ones that stick out tho. Do you have plans to release a music video to go with the track? Dangerous Rob: Video is coming soon, filmed by 4500 films and it`s featuring Mary Mathews , don’t hold your breath it`s coming. So, you've got the one single out. When can fans expect to hear more of Dangerous Rob?